Perfect for the tailgate party. 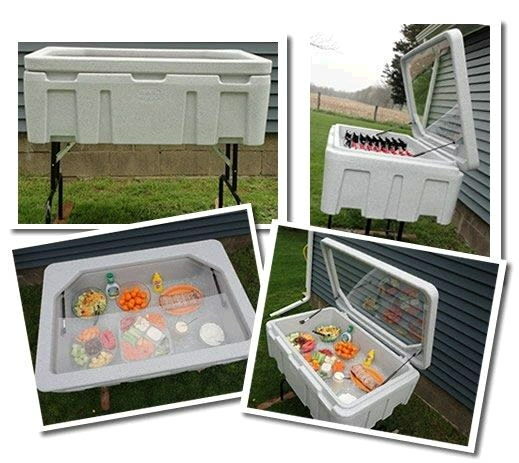 Insulated cooler is 44" x 29" x 10" tall with a transparent lid. Has gas shocks to hold lid open while in use, drain hose, and folding legs. May be used as a salad bar also. Includes protective cover for transport. * Please call us for any questions on our tailgate cooler w folding legs 44x29x10 rentals in Ft. Wayne IN, Warsaw, Syracuse, Auburn, South Bend, Indianapolis IN.